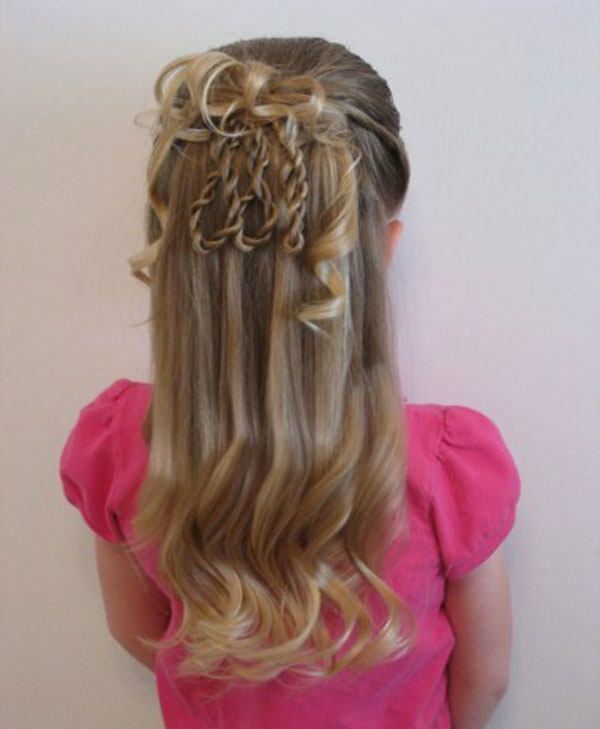 If you are looking for fun new ideas for hairstyles for your kids, then this is the article for you. 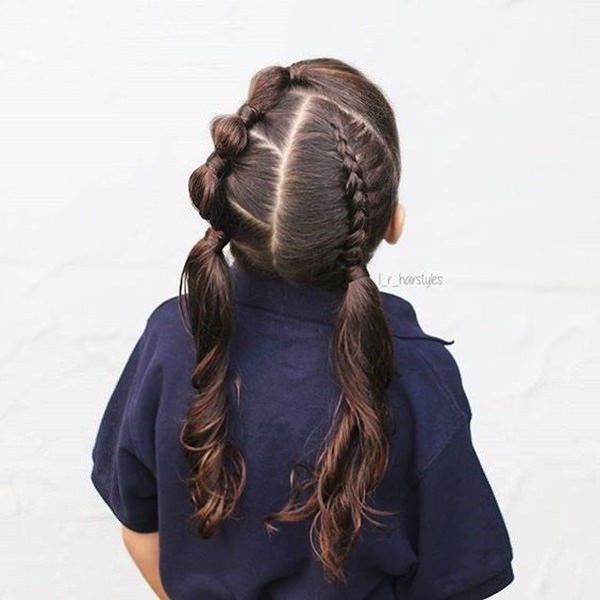 When it comes to braids kids usually don’t go too crazy with ideas, it’s usually just one braid or two in the form of pigtails. But that’s just boring, right? Of course, it is, you want something fun and even crazy for your kids, they deserve the best after all. 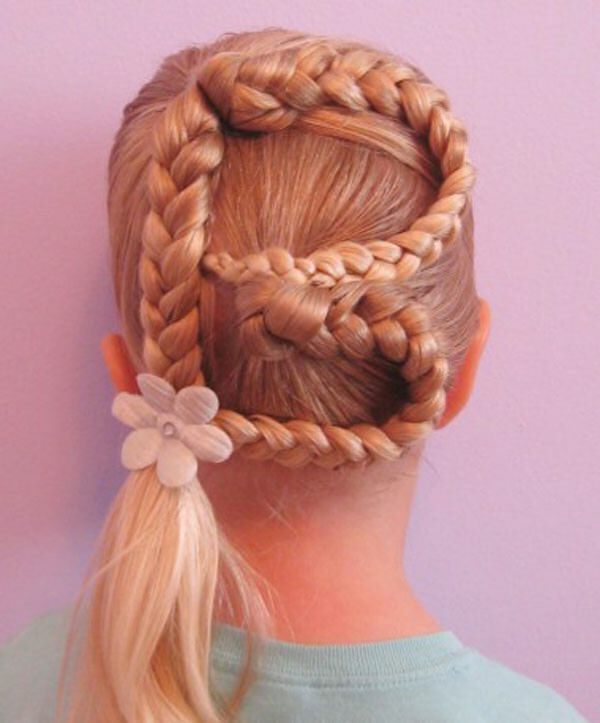 There are many different ideas out there for braids. There are ideas that are interesting and can even add more volume to the style that you have. 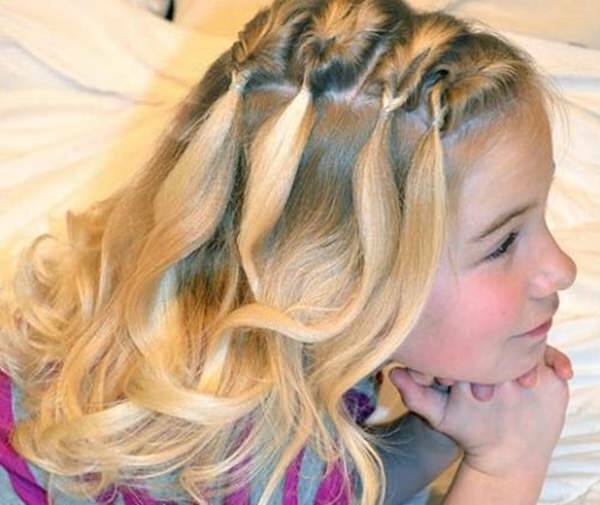 There are so many braid ideas out there that it will blow your mind. 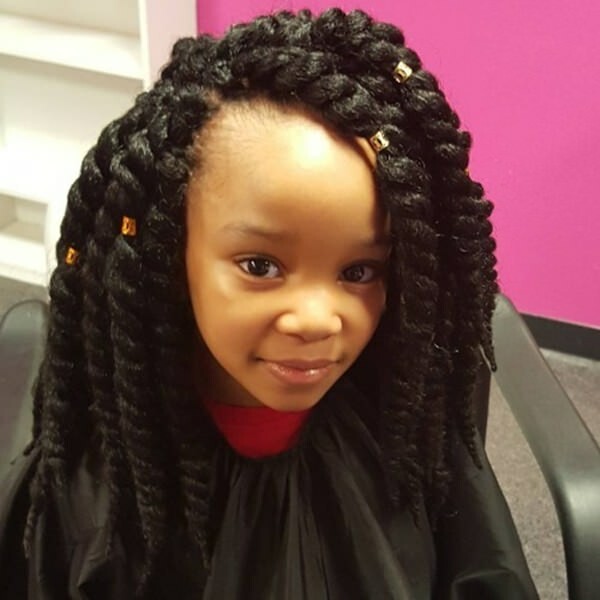 Use this article as your inspiration to try something amazing in your child’s hair. 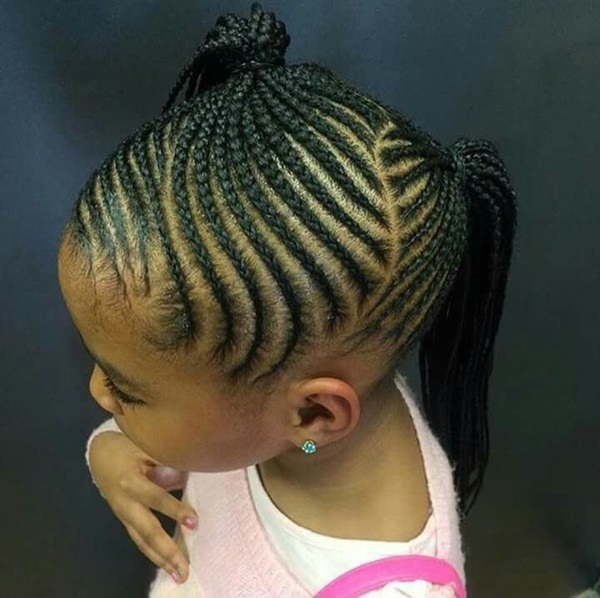 There are so many cool ideas to choose from, you could try cornrows, French braids, fishtails, really there are so many options available to you. 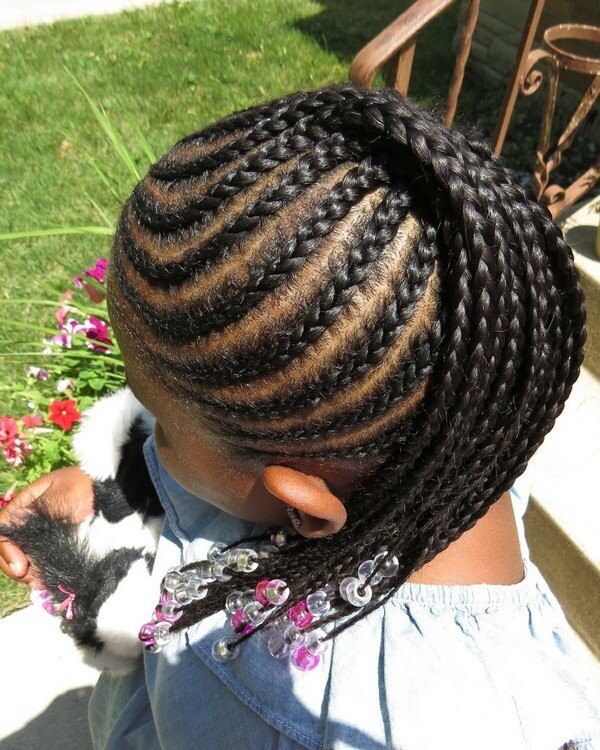 All these types of braids are attractive for many girls and they will be tickled pink when they get to show them off. 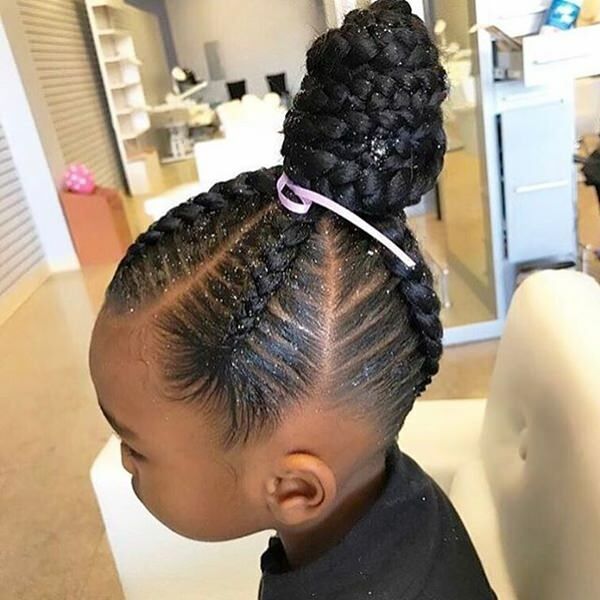 It may take some practice but after a few times, you will be braiding your children’s hair like you have been doing it your whole life. 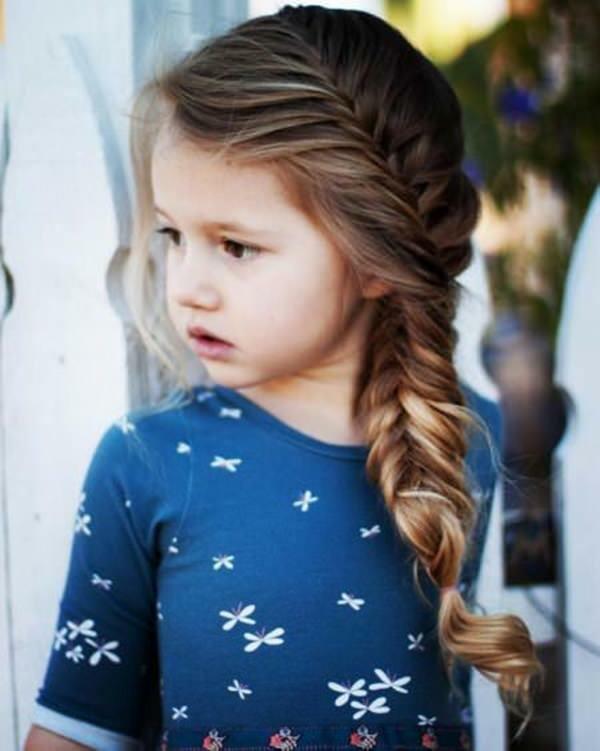 If you want your child to have low maintenance and awesome looking hair, then you must check out these awesome styles. This is a pretty interesting style and one that is going to make your girl look pretty cool. 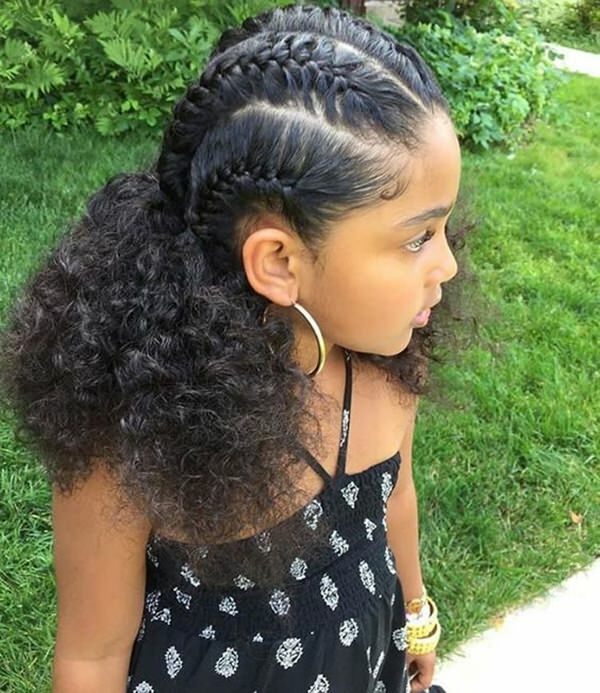 These cute braids really make the hairstyle a cool one. 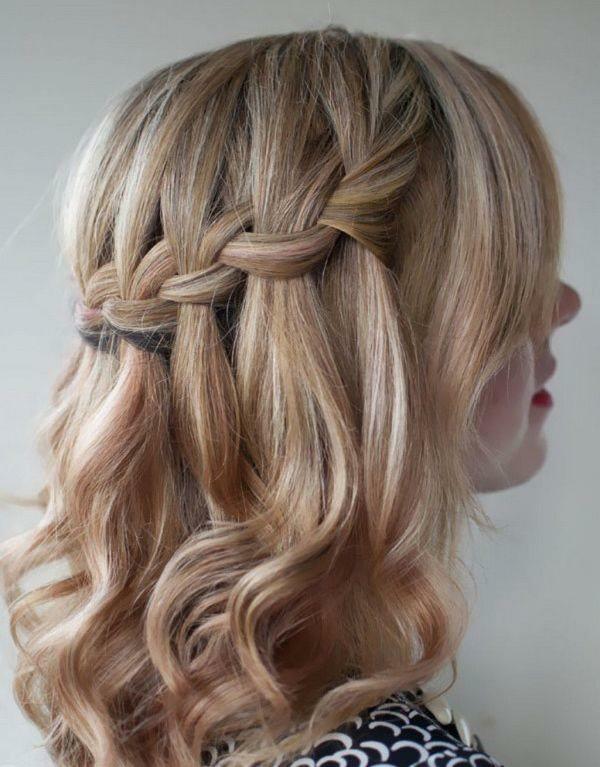 This style is perfect if you have an event to go to. 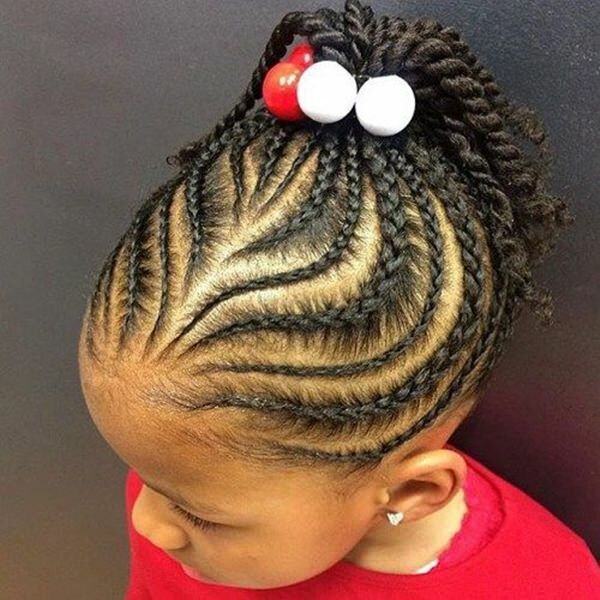 These are some stunning cornrows, truly remarkable designs. 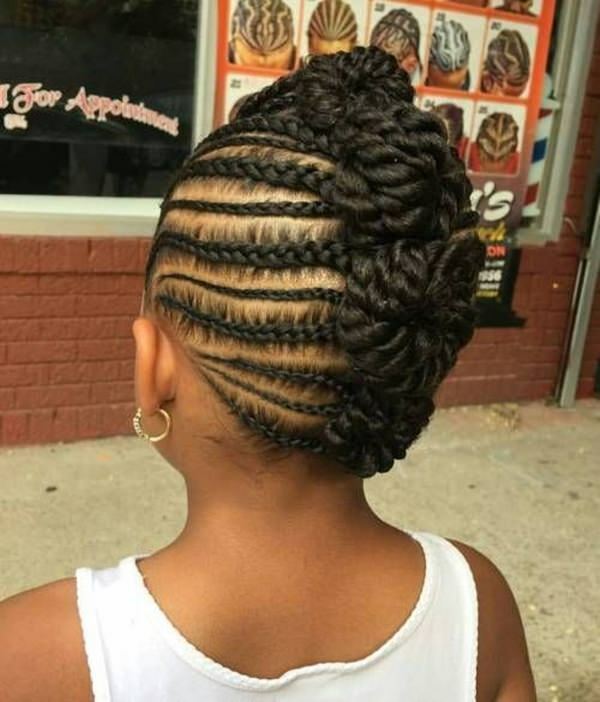 The braids are truly tight on this style. How creative is this style? 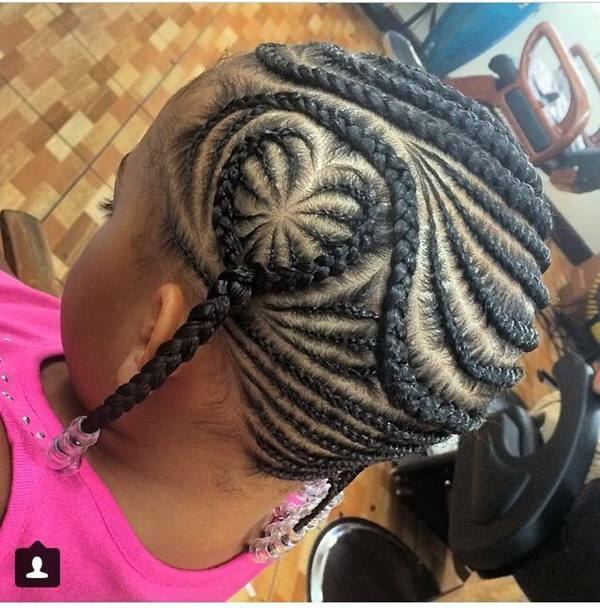 We have a bunch of cornrows with a stunning heart in the mix. 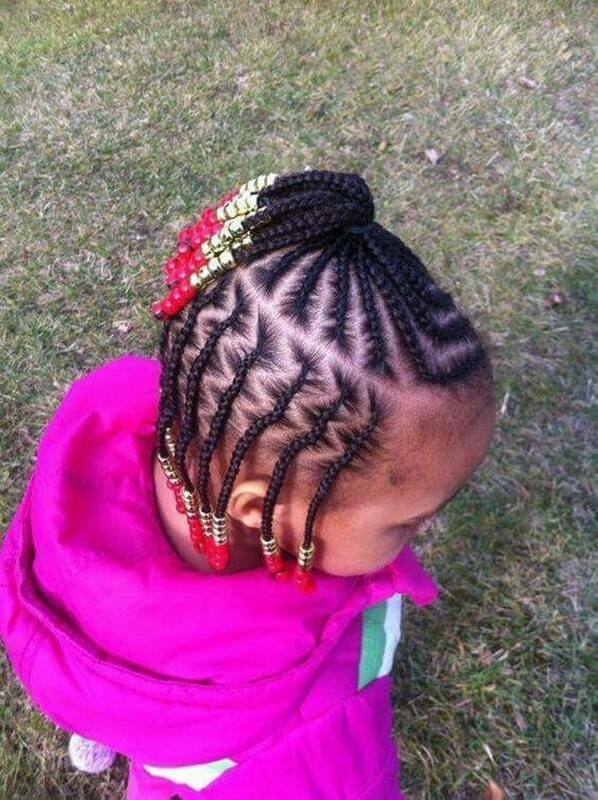 Another example of how creative you can be with braids. We love them. 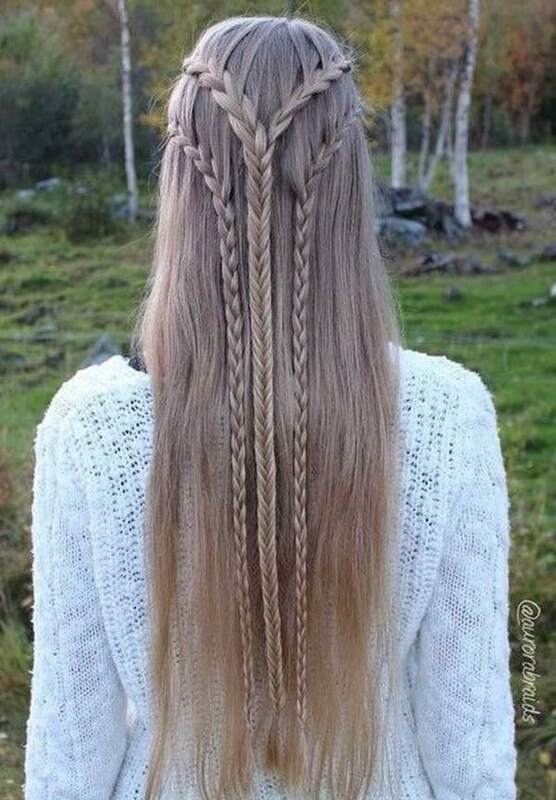 This braided design looks a little medieval. We can’t help but love it because it’s simple yet beautiful. 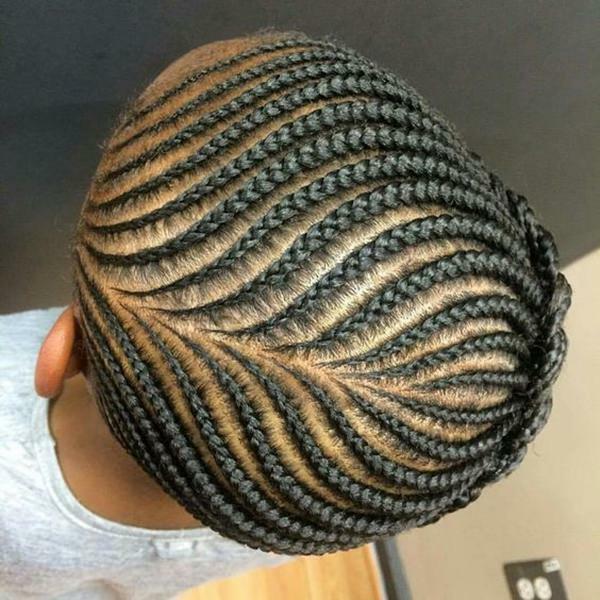 A cool design that has two separate braids on one side. It’s a precious style that anyone kid would love. 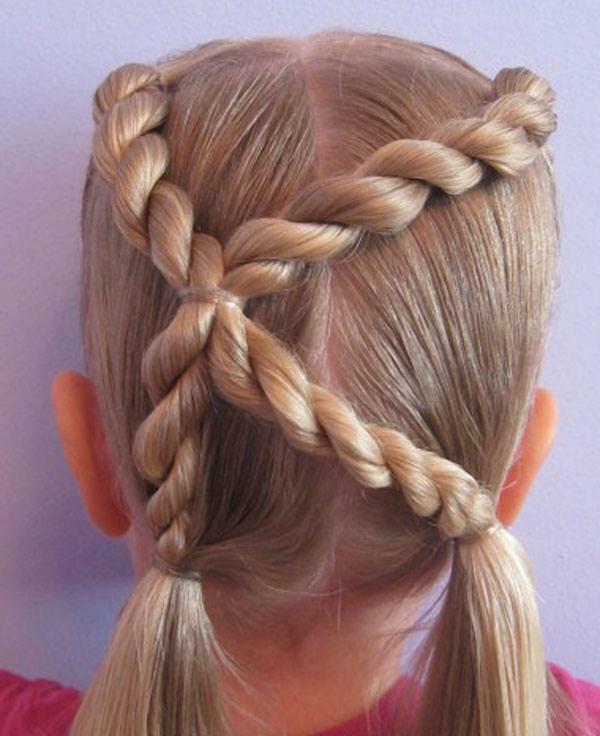 If you are looking for a cute style for the next event your kids go to then why not try this triple threat out? 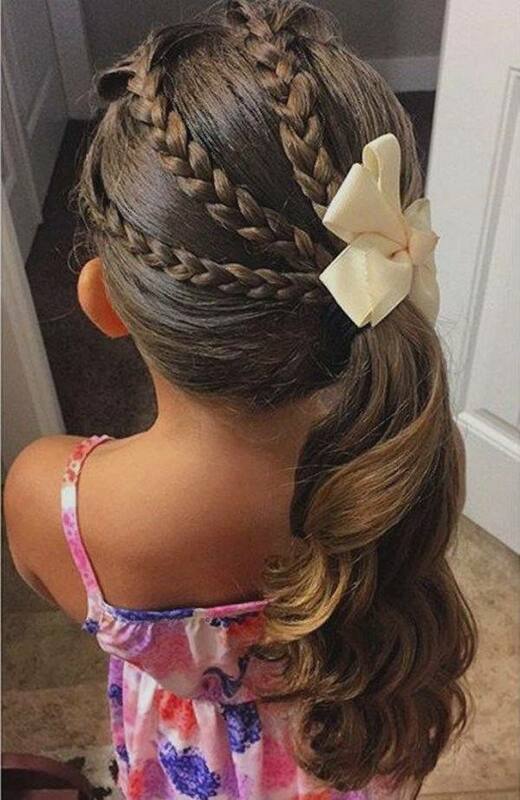 A stunning style for a little girl. 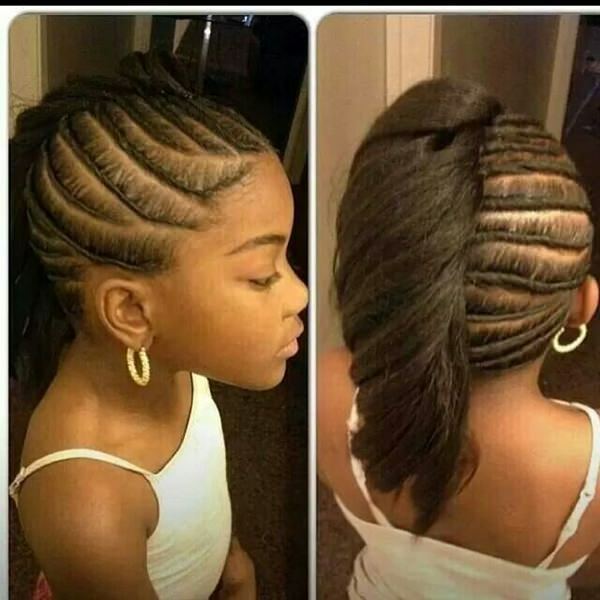 These braids for a circular that ends in a bun. 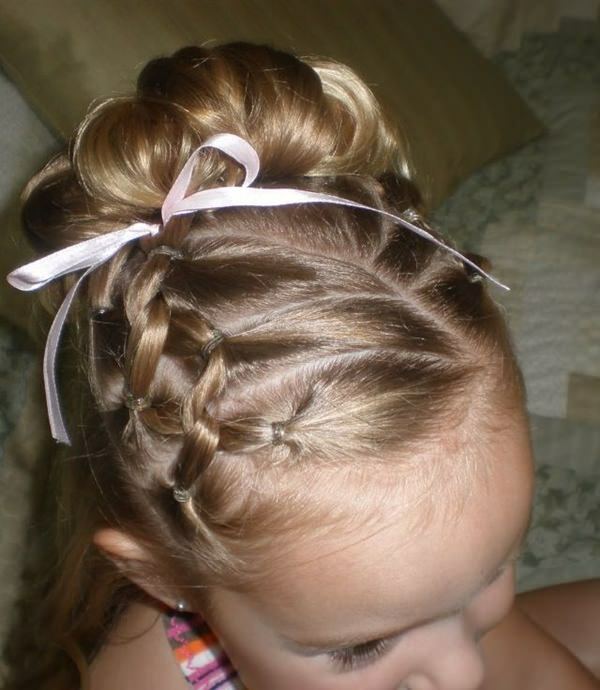 A sweet style that consists of some amazing braids. 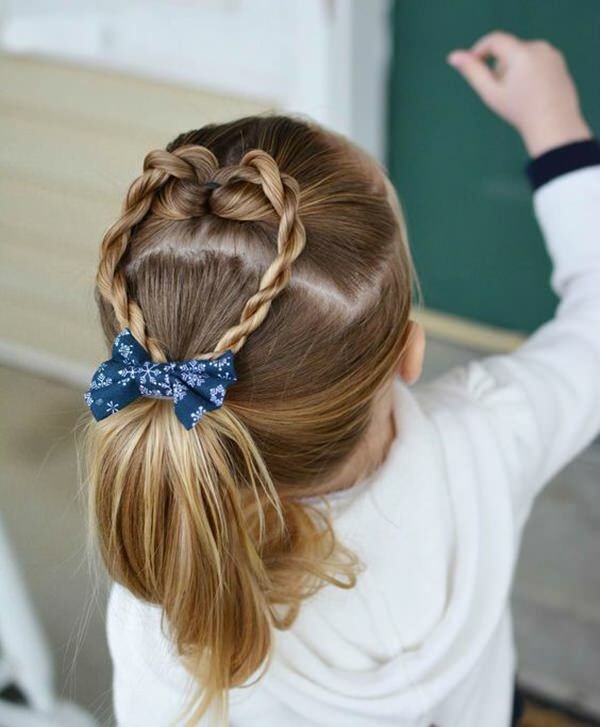 It’s a very simple style that any kid is sure to love. 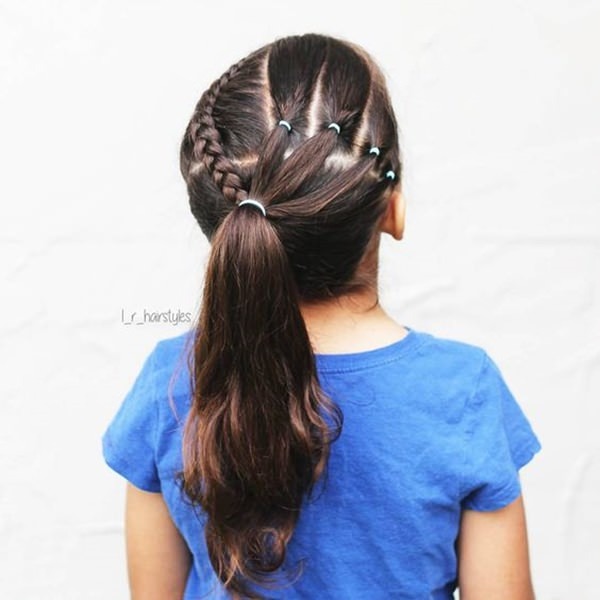 Three gorgeous French braids that make for a beautiful ponytail. 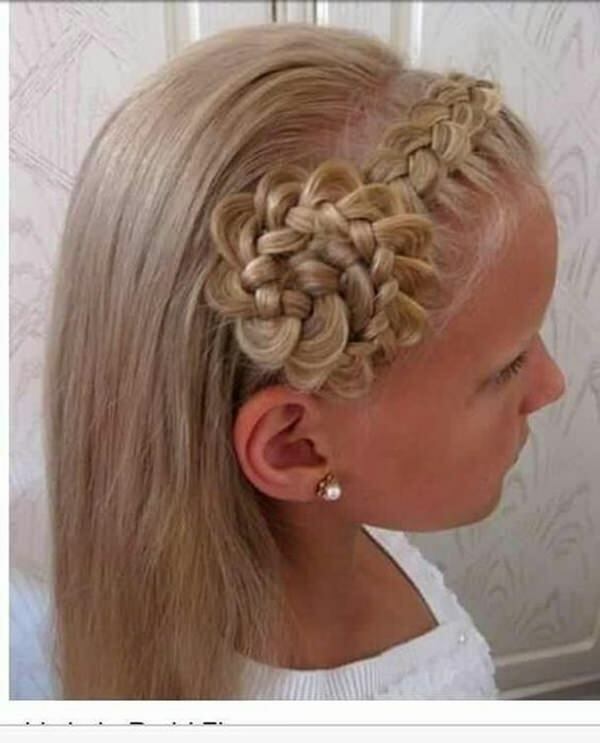 It’s a stunning style that your kid is sure to love. A great style that is truly magical. A great style that anyone is sure to enjoy! 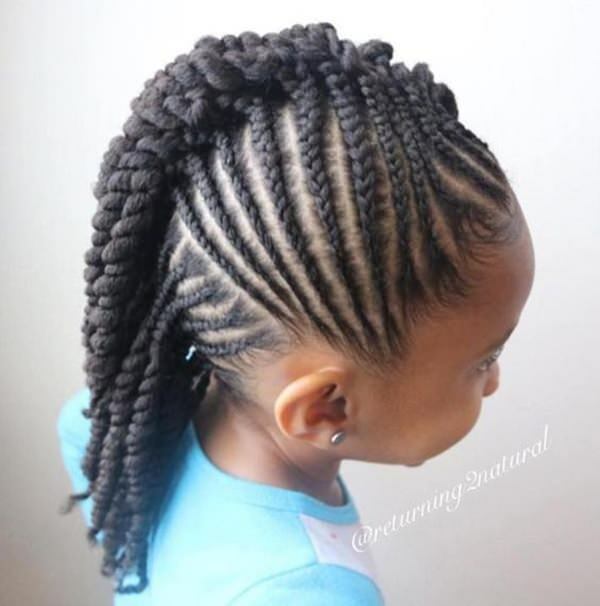 It starts with very tight cornrows and ends with long and thick twirl braids. This is a fun style and it’s truly gorgeous. 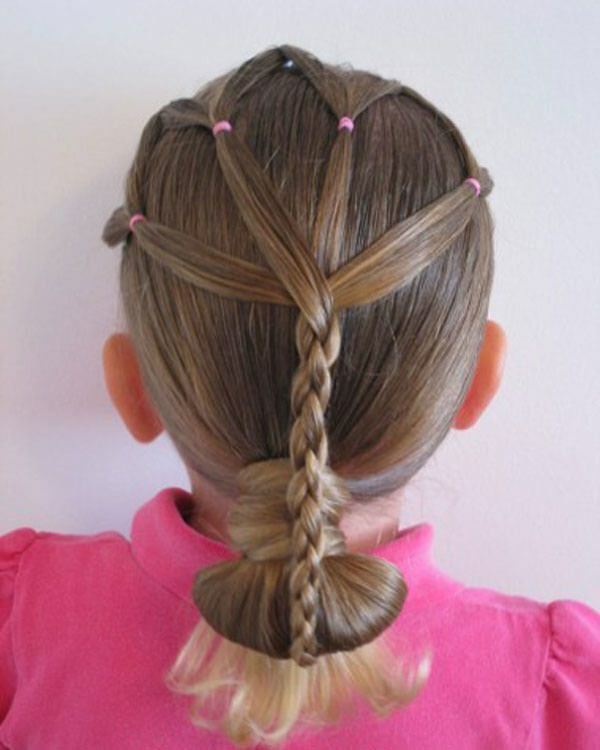 As tunning fishtail that is made into a ponytail. It’s a simple style that is also low maintenance. 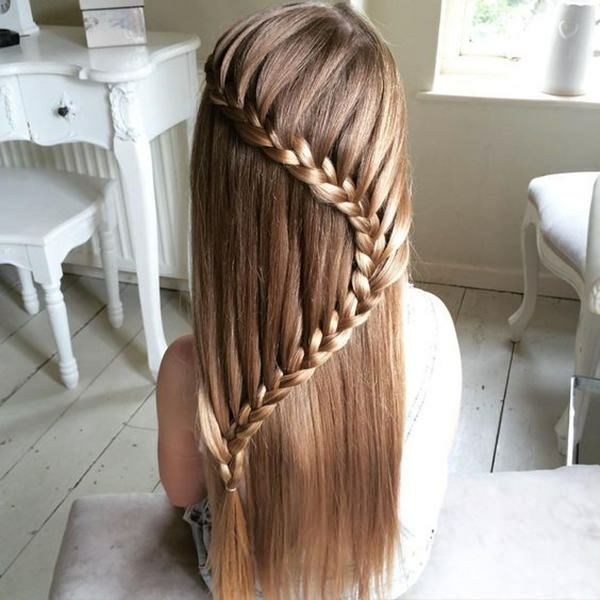 This gorgeous and unique braid looks like a floral headband. 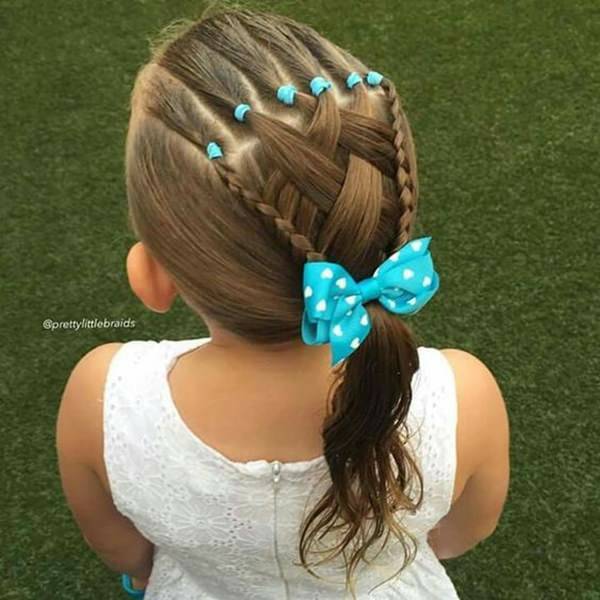 You won’t find a more unique and creative braid design for your child. 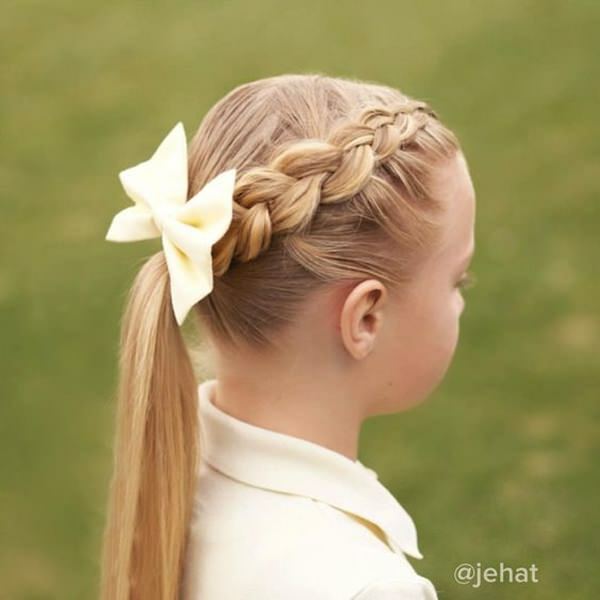 These are simple braid designs, and they are really pretty. 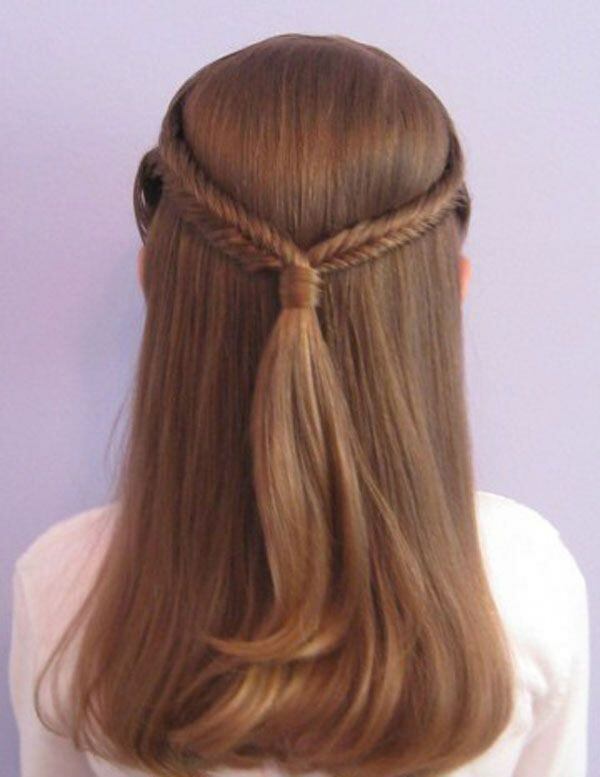 A special V-shaped braid that is quite beautiful and it’s a very polished look. 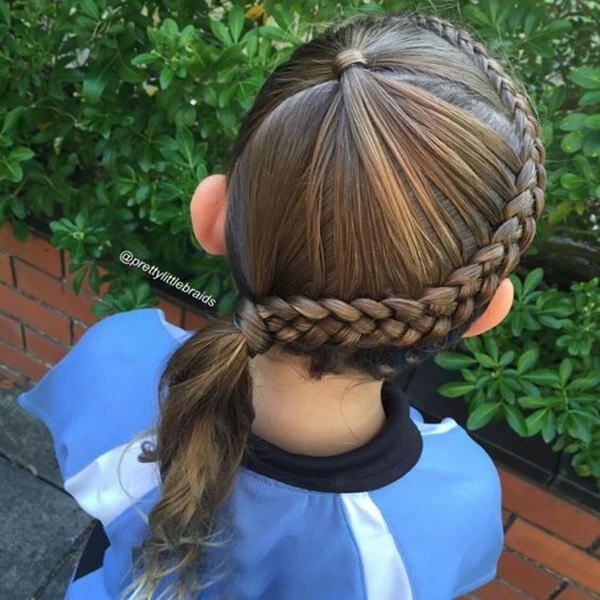 A ponytail that is stunning because it’s a ponytail and a braid all in one. 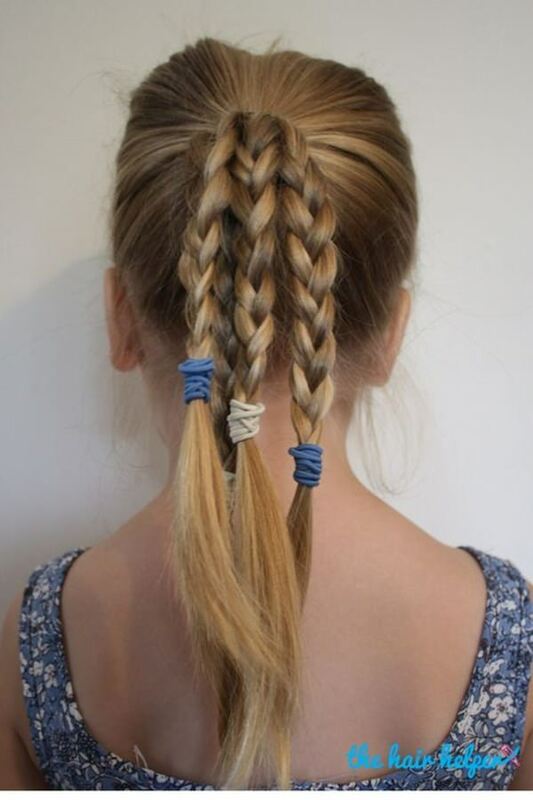 It’s a gorgeous way of using braids. 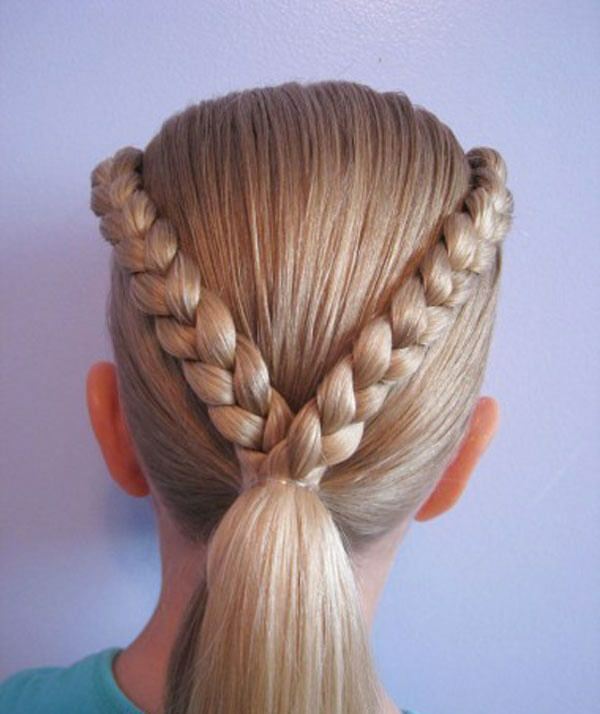 This polished look has three braids on the side of the head. 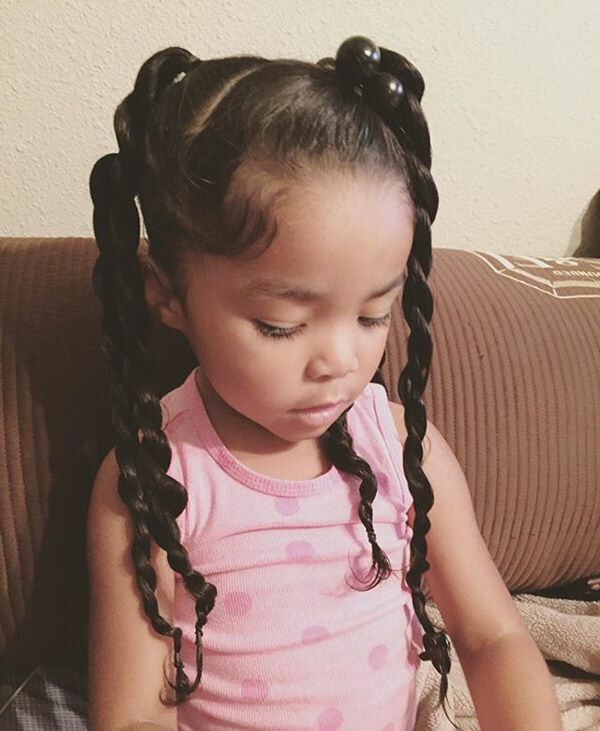 We haven’t seen braids that look this beautiful before. They are great styles because they look like artwork. This B shaped style is truly gorgeous. If your child’s name starts with a B then this would be a creative way of showcasing her personal style. 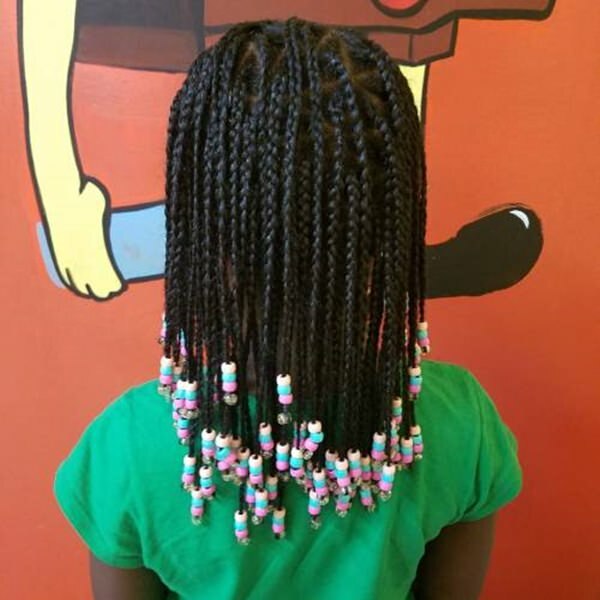 These gorgeous twist braids are truly wonderful. We can’t help but love this voluminous style. A simple braided design that goes in the shape of an X. 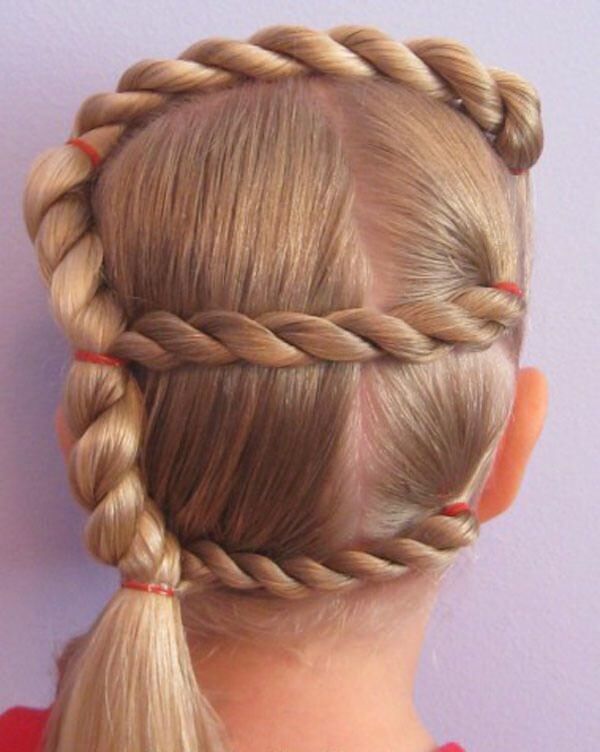 This is a stunning style that is very circular against the scalp while the rest of the braids are pulled back. 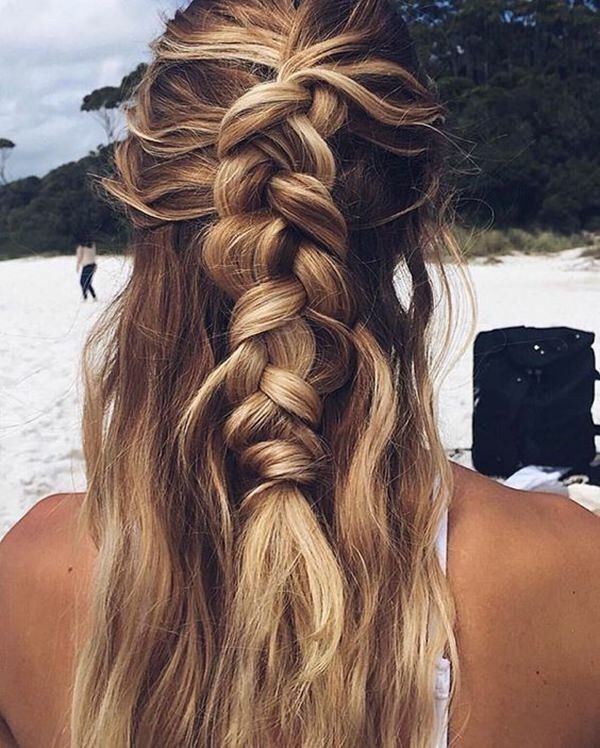 This polished look that has a braid around the head. 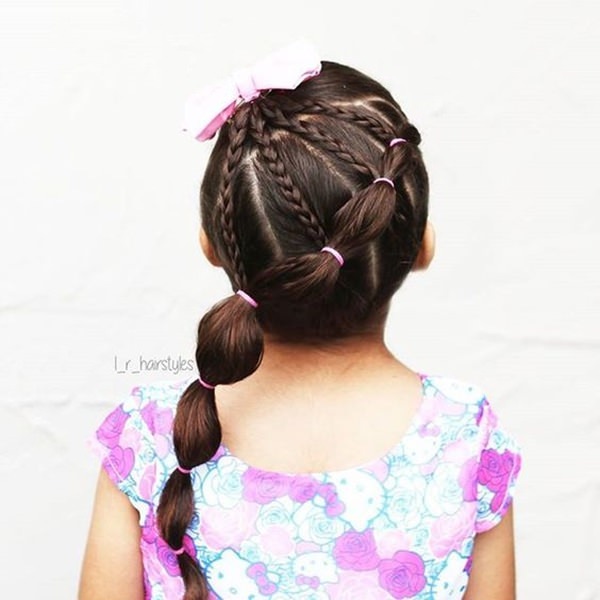 These styles are pretty because they are loose pigtails. 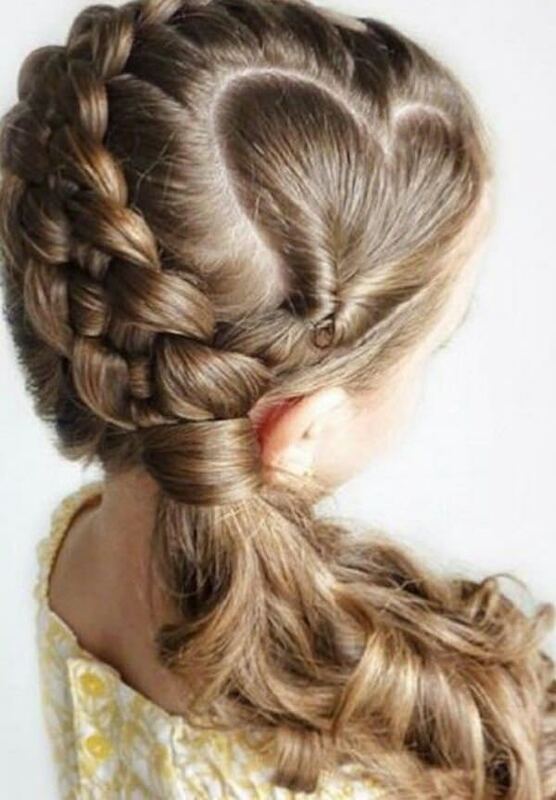 Two small braids that circle the head like a crown. 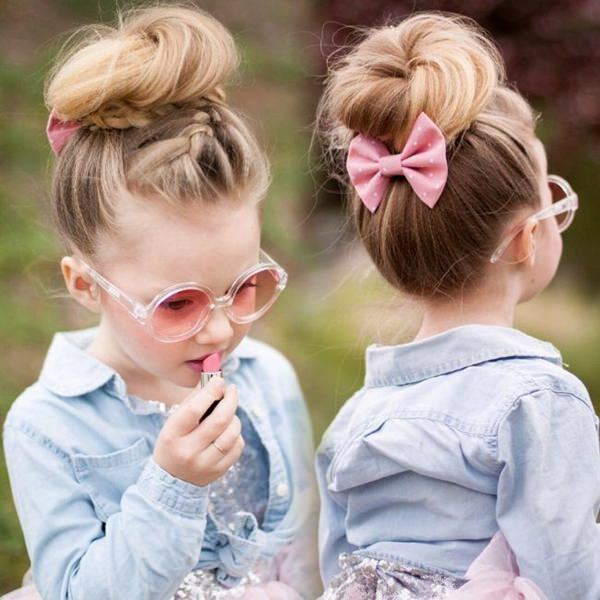 This is quite the gorgeous style that your child can wear to any event. A simple style that is in the shape of a heart. 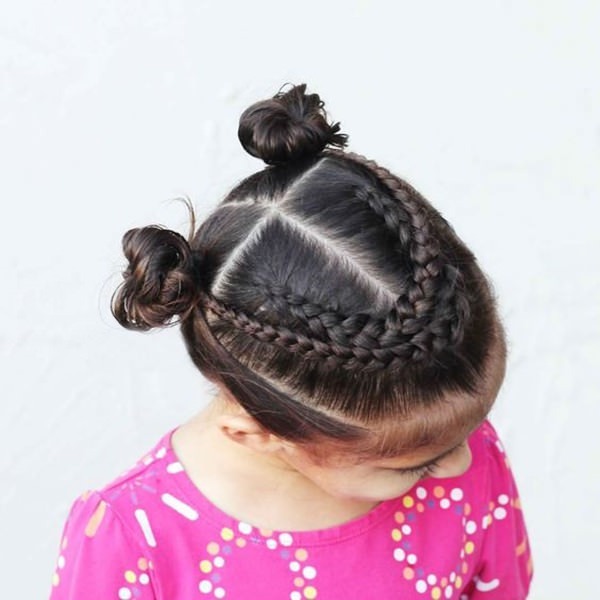 A great style that is just messy enough for your kids. A great style that is not only polished but beautiful. 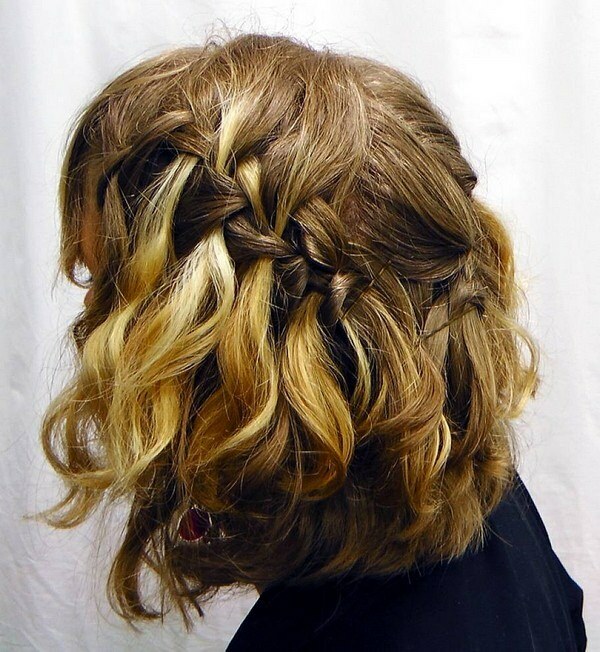 Four mini braids that make for an attractive style. 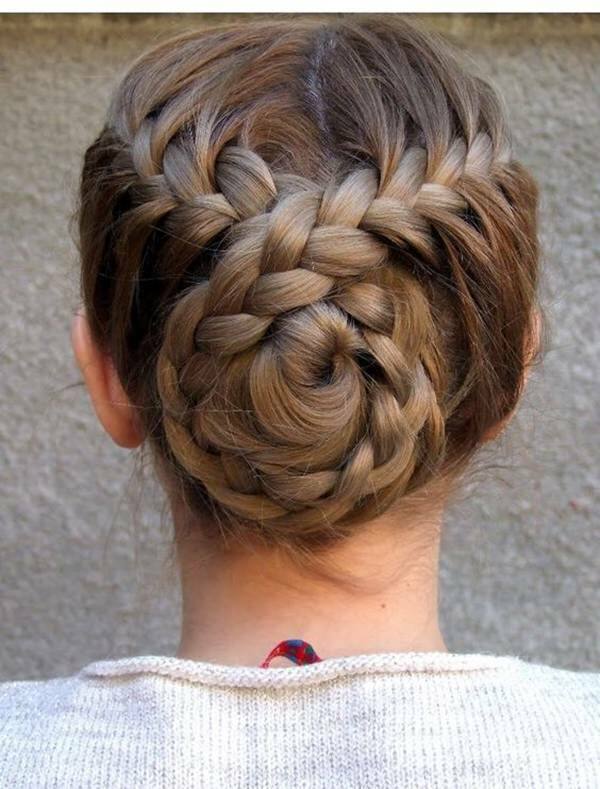 A great style that has a pretty unique braided bun. A great style that you are sure to love. It’s a stunning intersecting style. A soft style that is truly beautiful. A gorgeous heart-shaped design that’s on the back of the head. How can you not love this style. 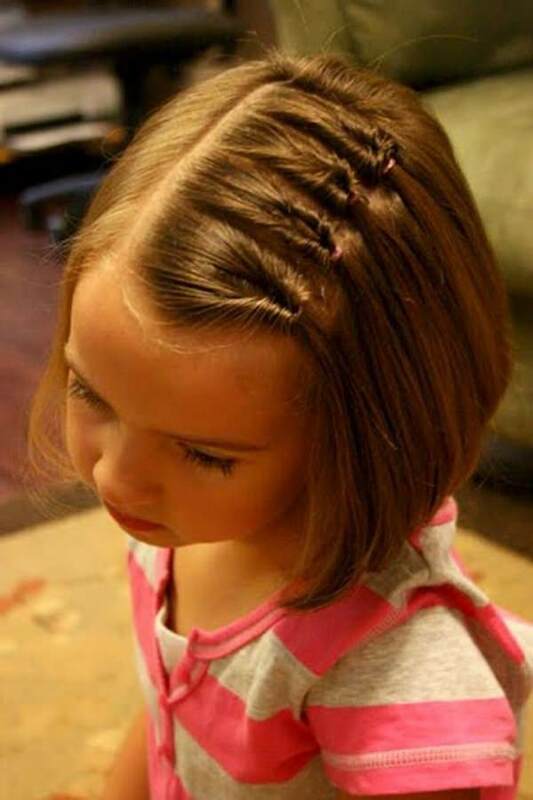 The smallest of braids really make for an amazing style. It’s super small and really unique. 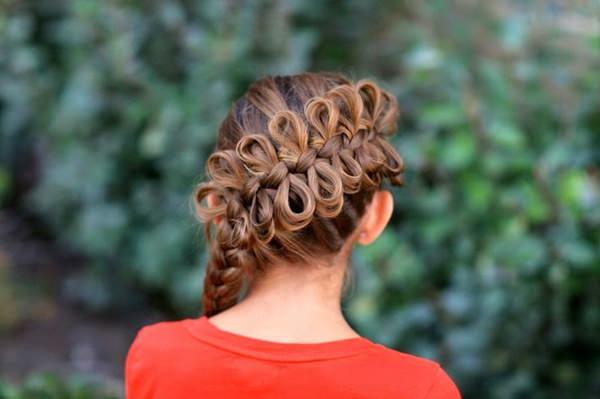 This is such a great style, a staircase braid that cascades down the head. This is a really special design that any little kid would love. 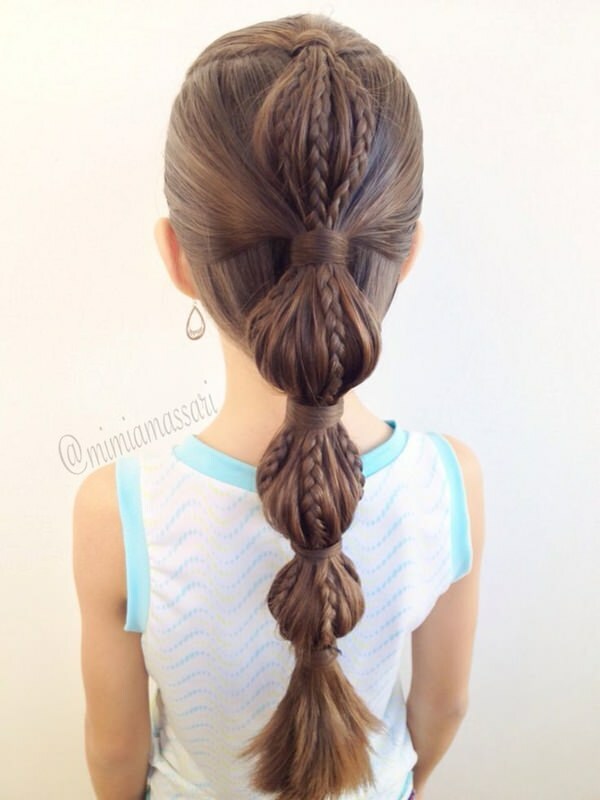 A gorgeous braided style that is pulled back into smaller ponytails. 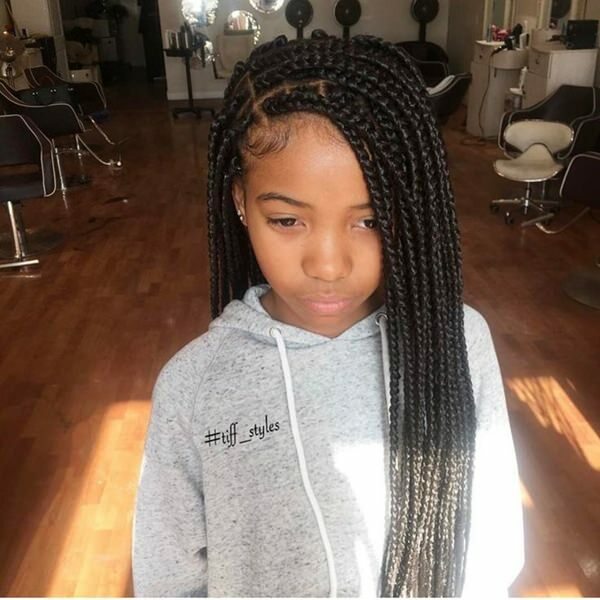 These braids are very popular right now because of their unique design. 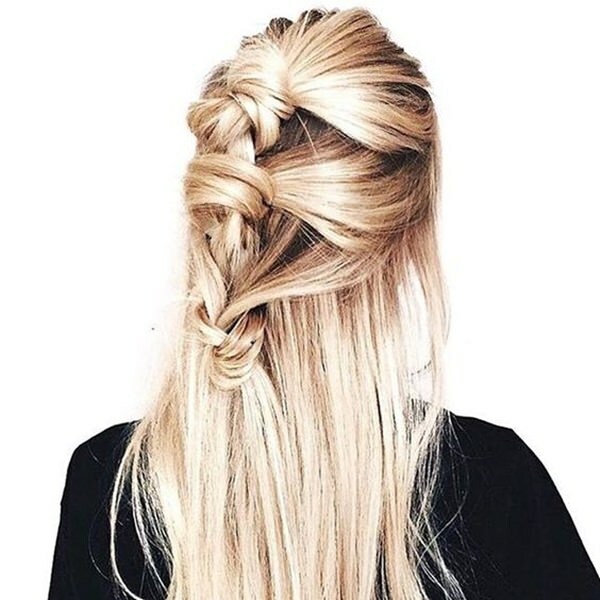 This style comes close to a ponytail and we think it’s gorgeous. 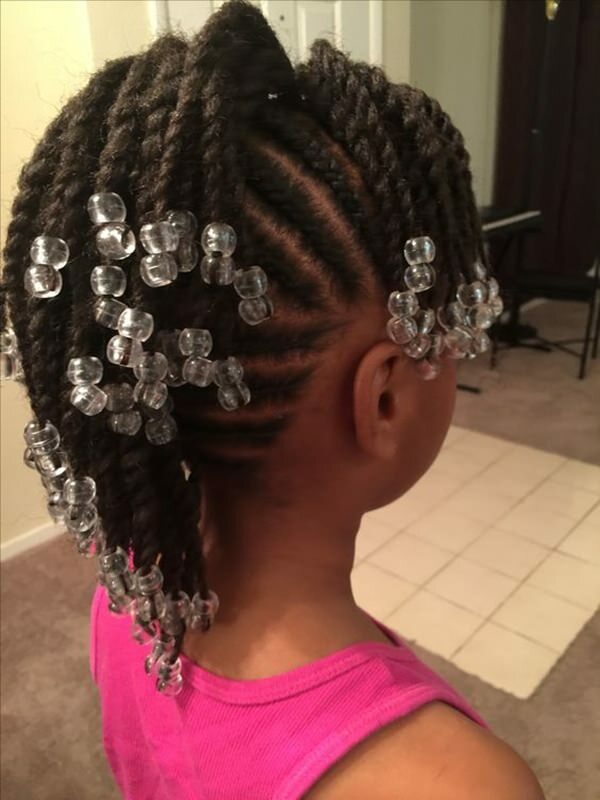 A great beaded style for a cornrow look. A very stunning style that is loose and free. If you are looking for a casual style for your child, then this is the one for you. 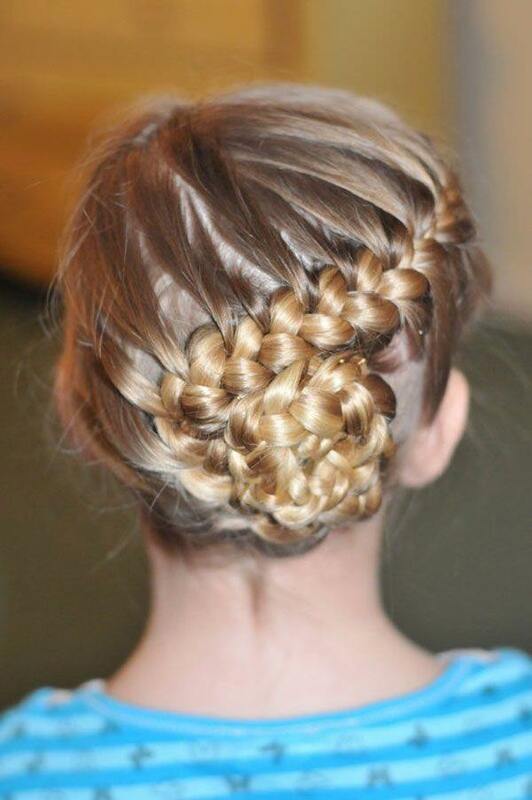 A stunning style that is beautiful because of the crisscross braids around the hairstyle. 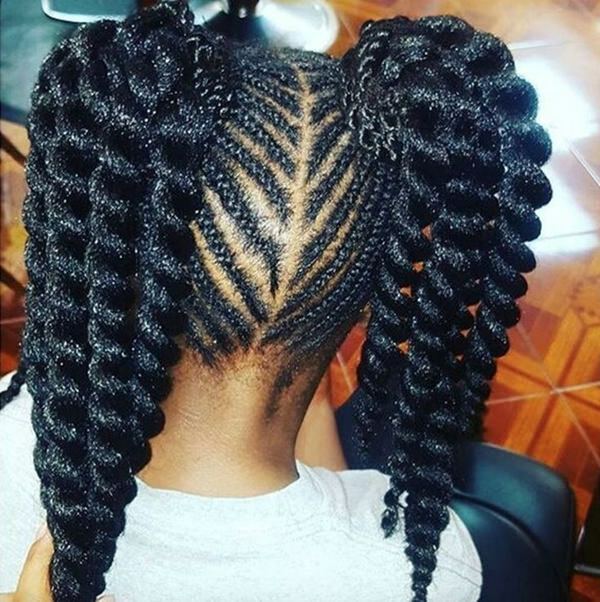 A stunning cornrow style that will prove to be very low maintenance. 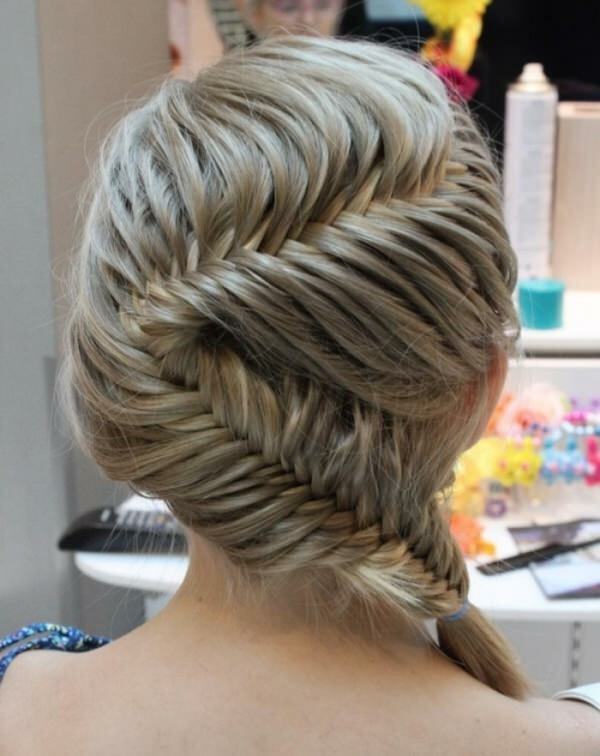 Now this stunning fishtail style looks like a work of art. We love how it zig zags back and forth. Truly beautiful. 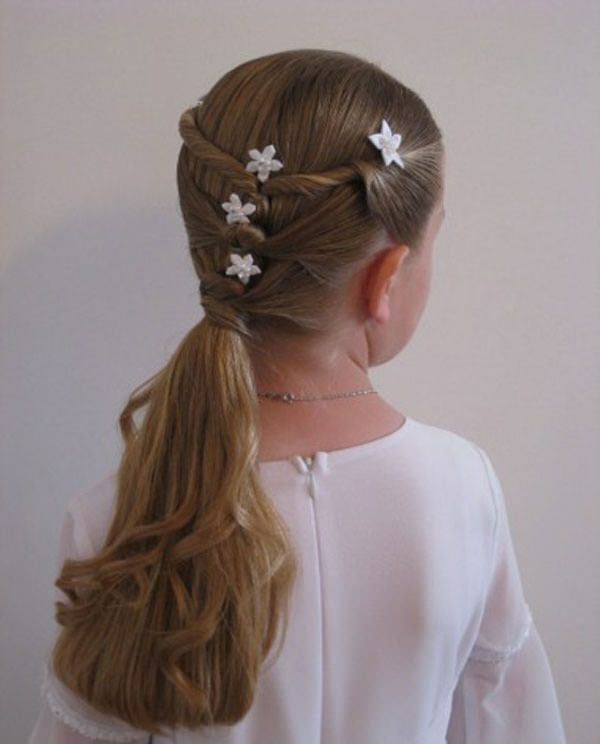 Another great example of simple ponytail shaped designs. A great style that is polished and pulled in tight. 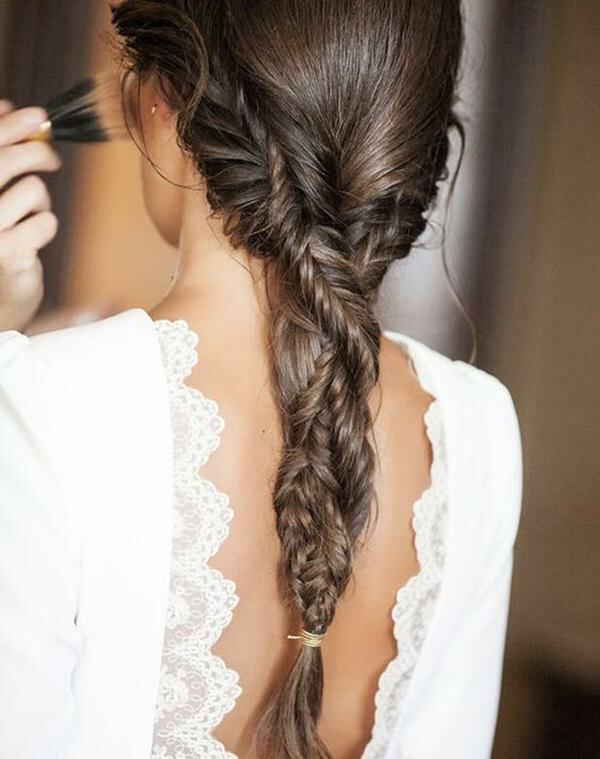 Simple braids can still be created to look beautiful. This polished look doesn’t have a hair out of place. 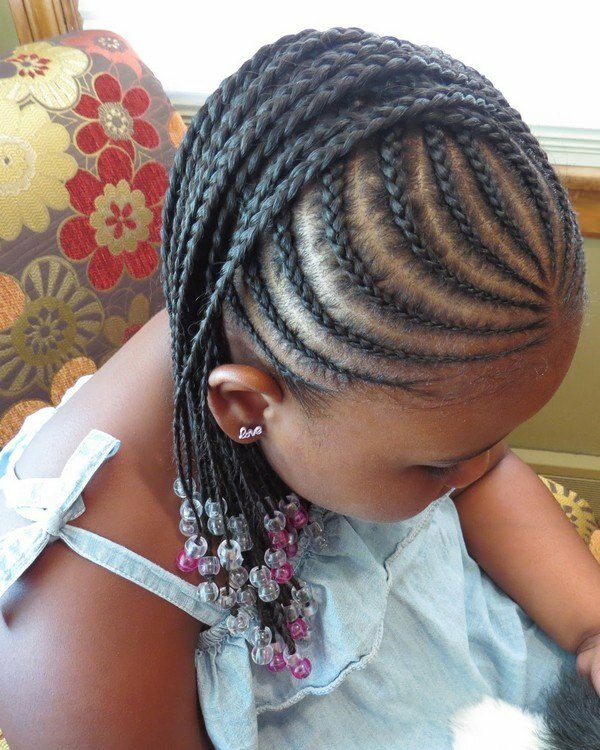 A great tightly braided style that is very beautiful. 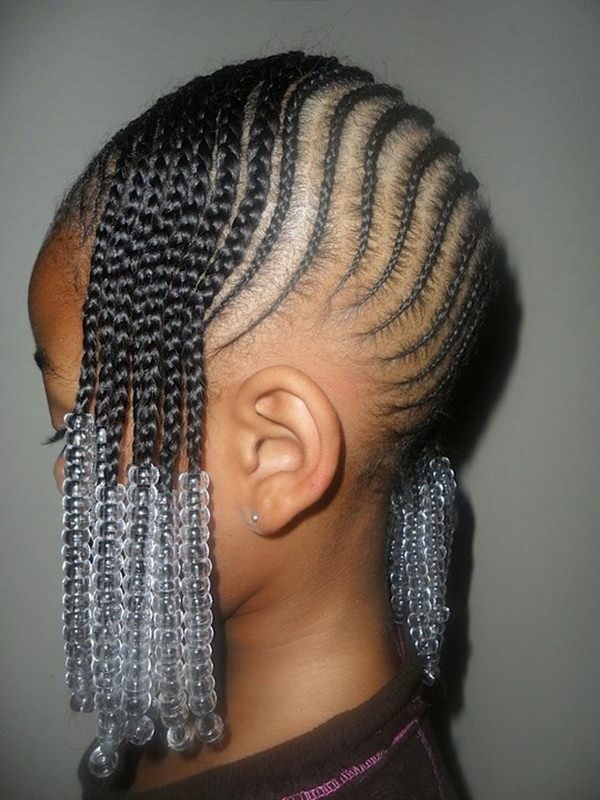 Multiple braids are very tight against the scalp but then are left loose. 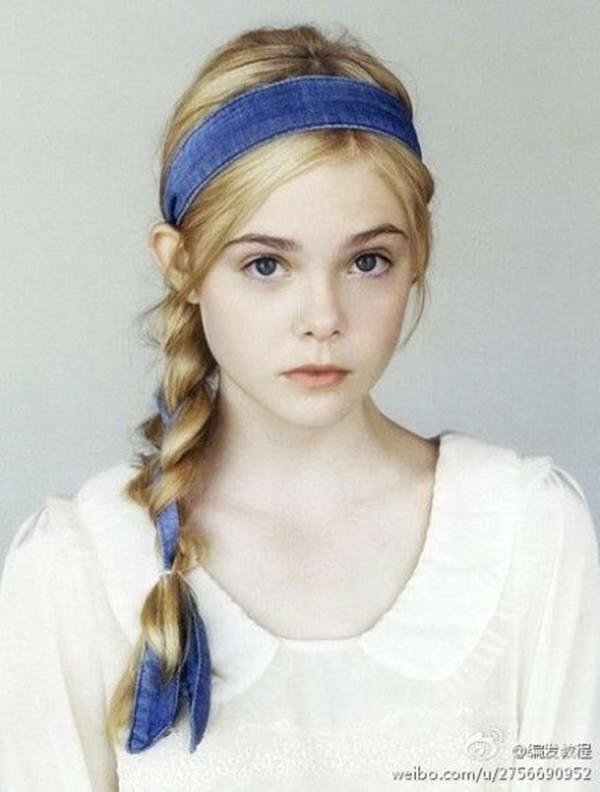 A cute little celebrity that knows how to make a casual look rock. 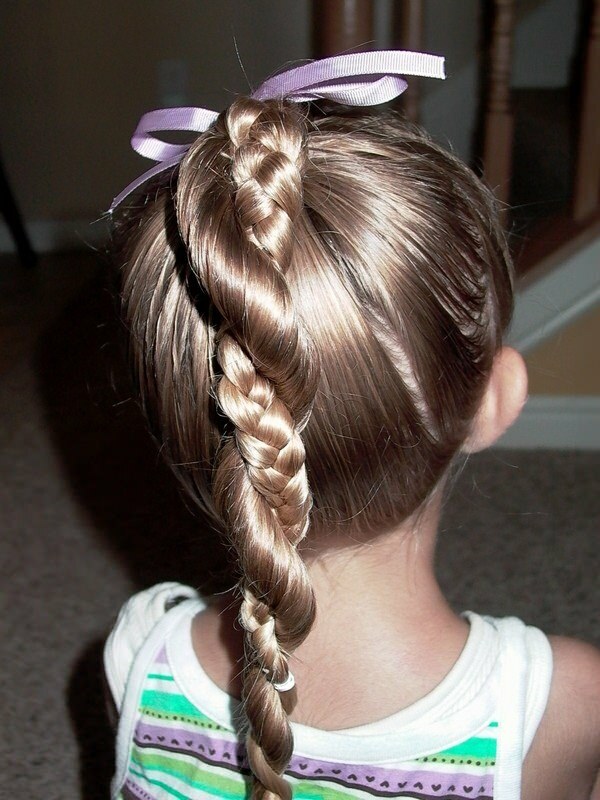 We just love this style because there are all kinds of fishtails all twirled into one braid. 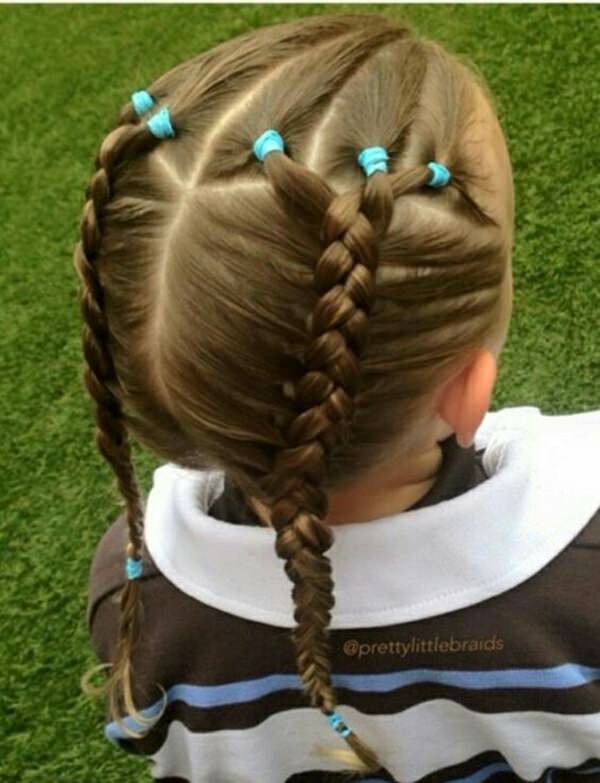 It’s a style that kids will thank you for. 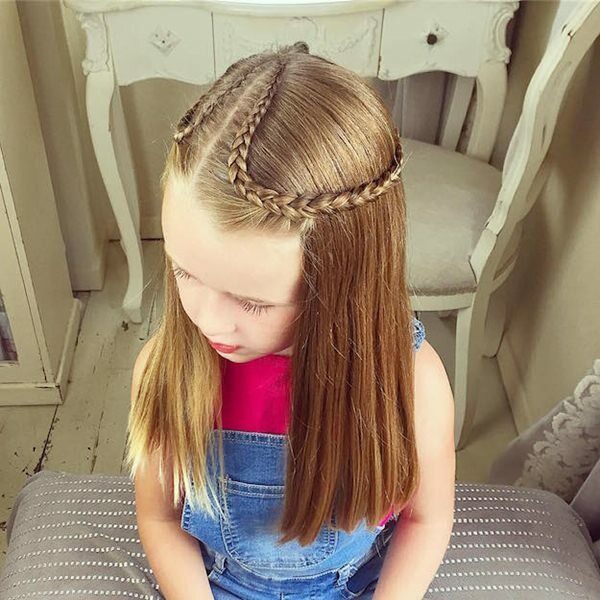 We adore these braids because they are nice and tight which means you can have a low-maintenance style for your kids that lasts a long time. We love this style for a lot of reasons! It’s just plain awesome. This style pops because of the different colors. 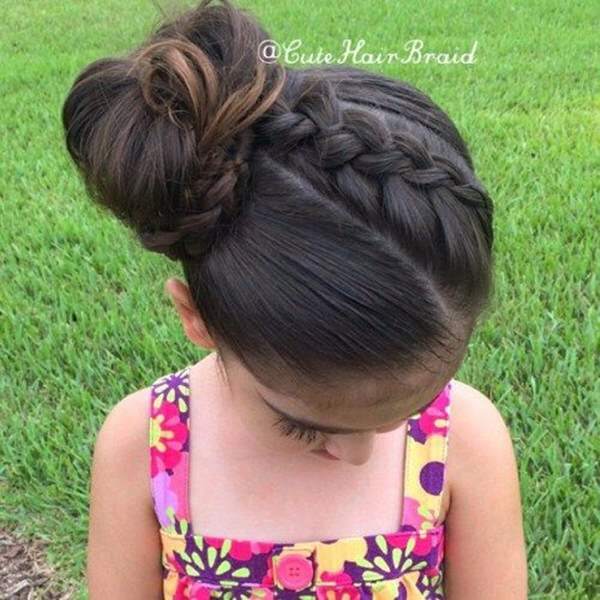 A cute braided style that is all about keeping it close. If you are looking for a great style for a special day, then check this one out. 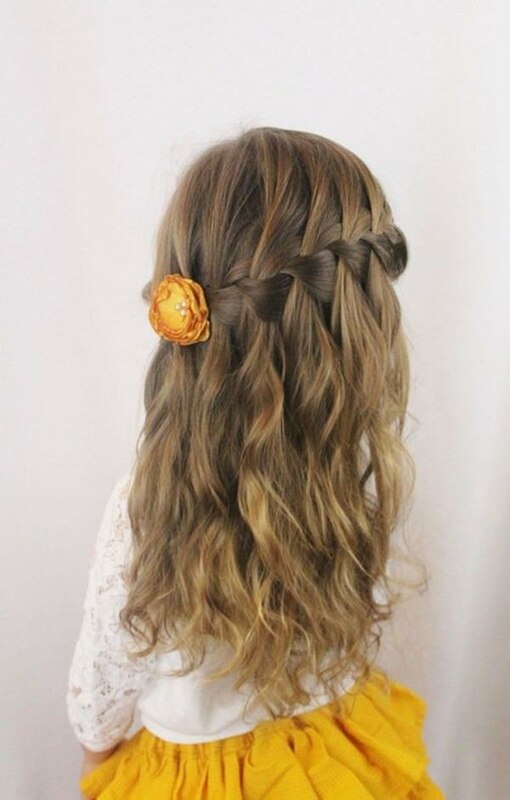 A great style that has some loose braids. An adorable style that adds volume. Talk about a stunning creation. These little bows are insanely beautiful. A great style that has some curving lines. 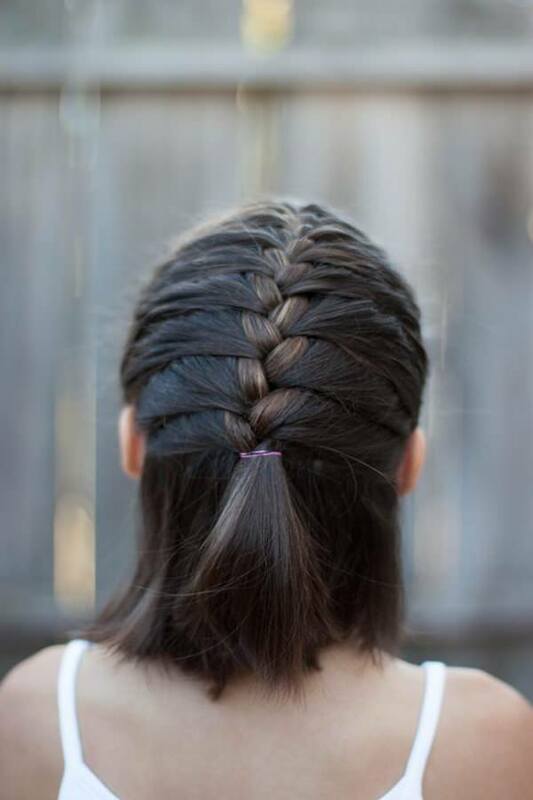 A great braid with a simple design on the top. 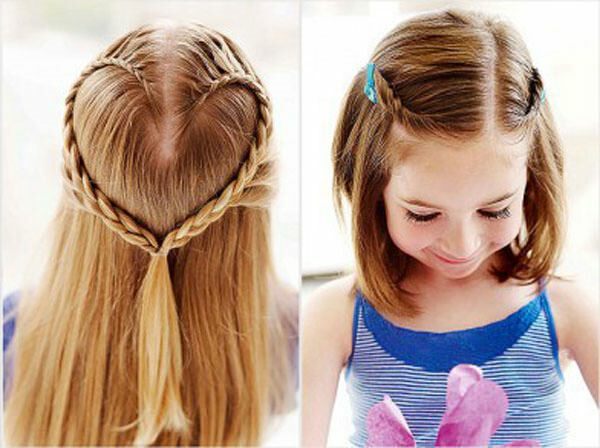 Turn your braid into a heart with this gorgeous style. 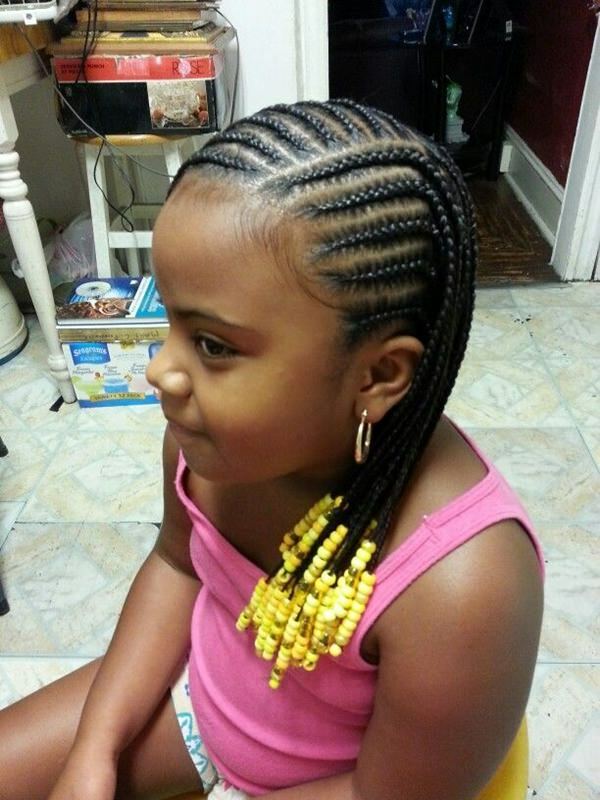 Another example of a great style using cornrows. A great style that anyone will love. 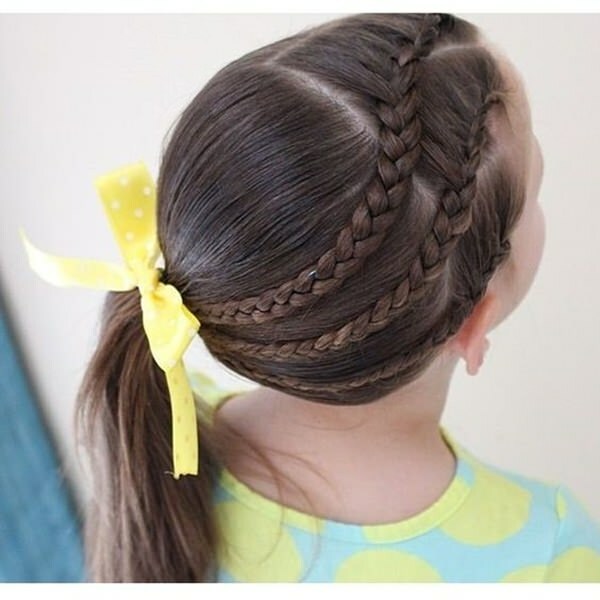 This is a great look for the kids and it can be worn anywhere. 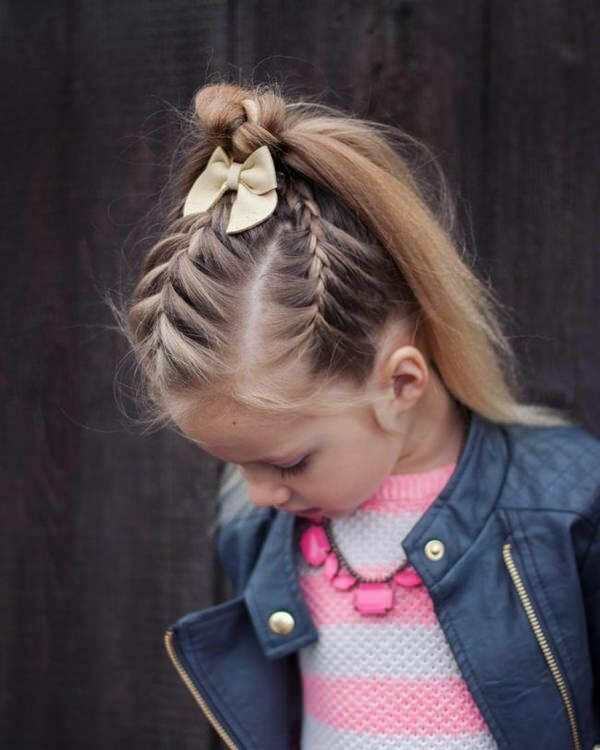 These small braids make for a perfect style. 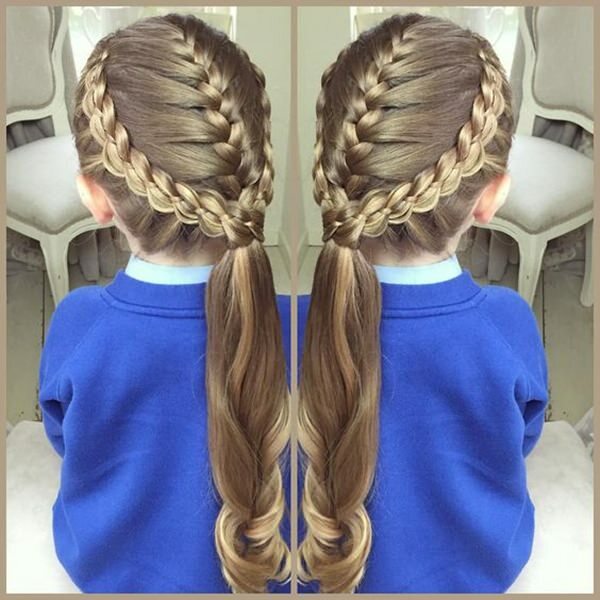 Another great example of long braids. 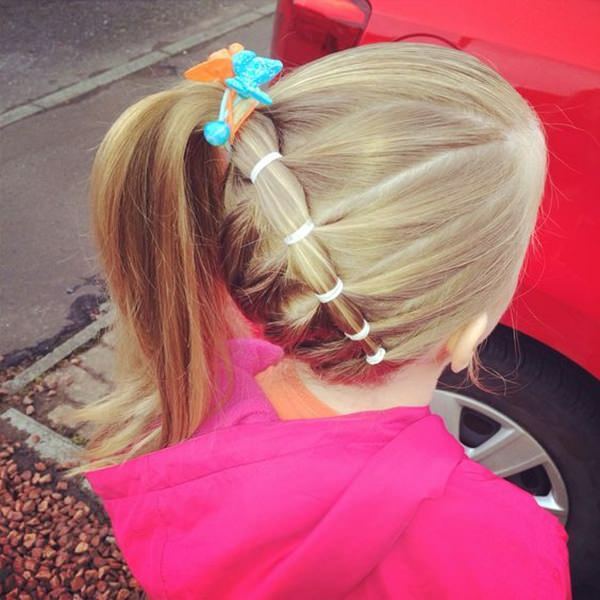 A special style for your special little girl. 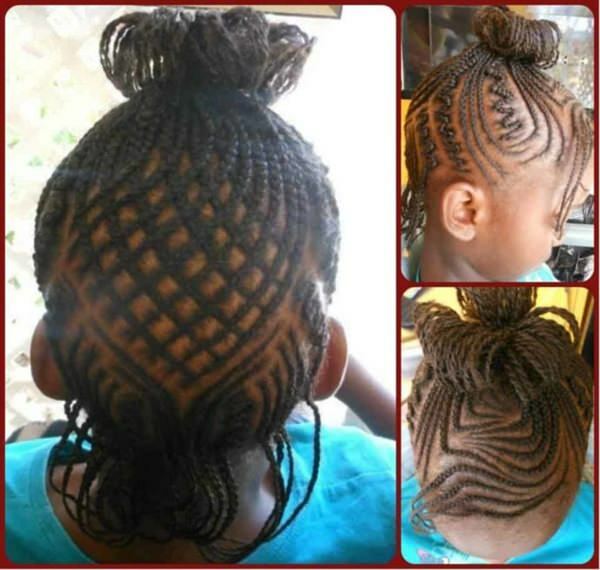 A small beehive made out of braids. 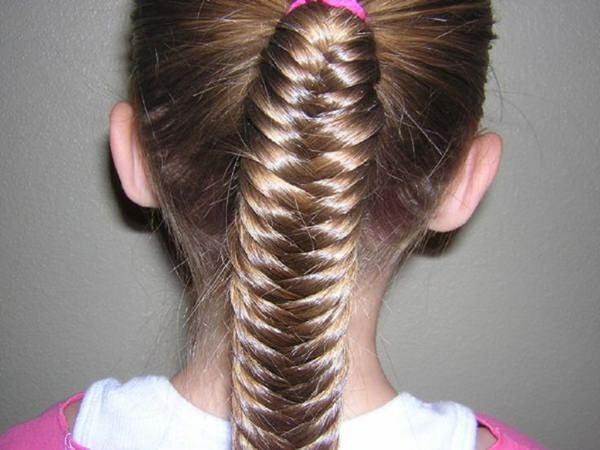 This fishtail braid looks sweet and smart off to the side. 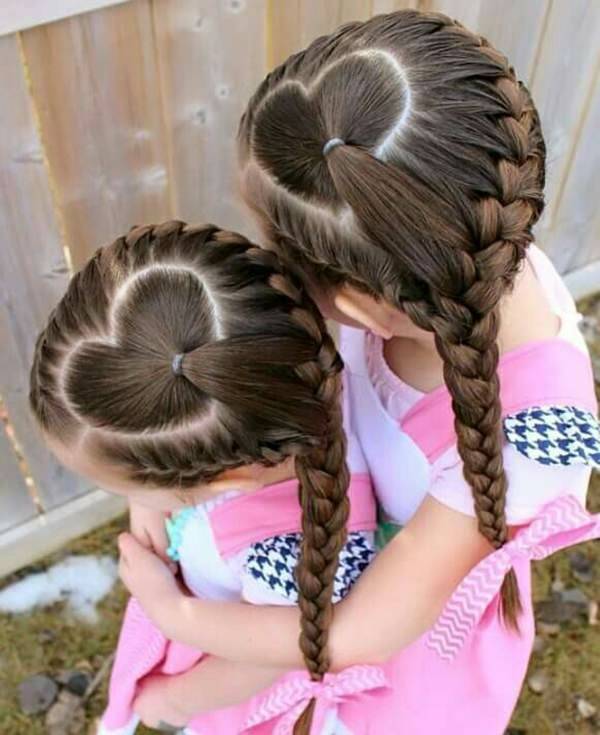 If you have two girls or more than match them up with these gorgeous heart styles. 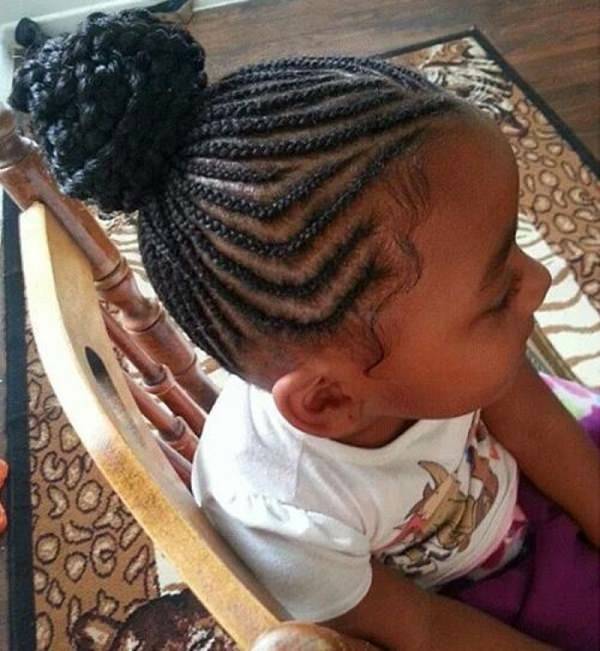 You won’t find cooler looking braids than these. 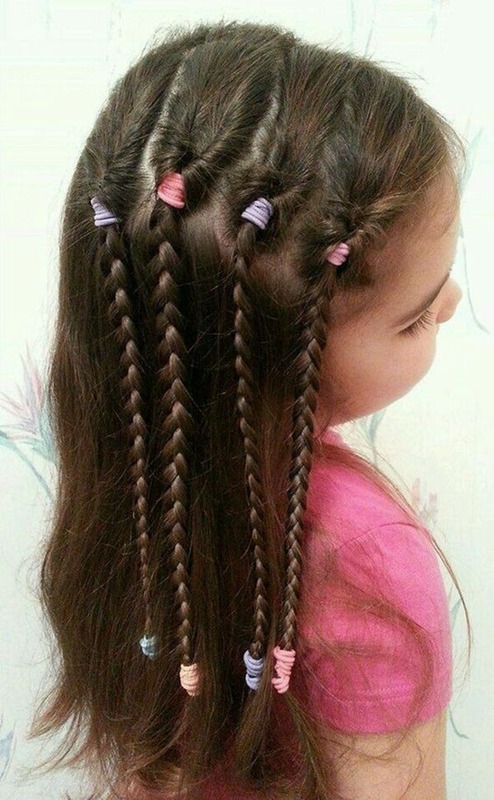 A triple threat made out of braids. 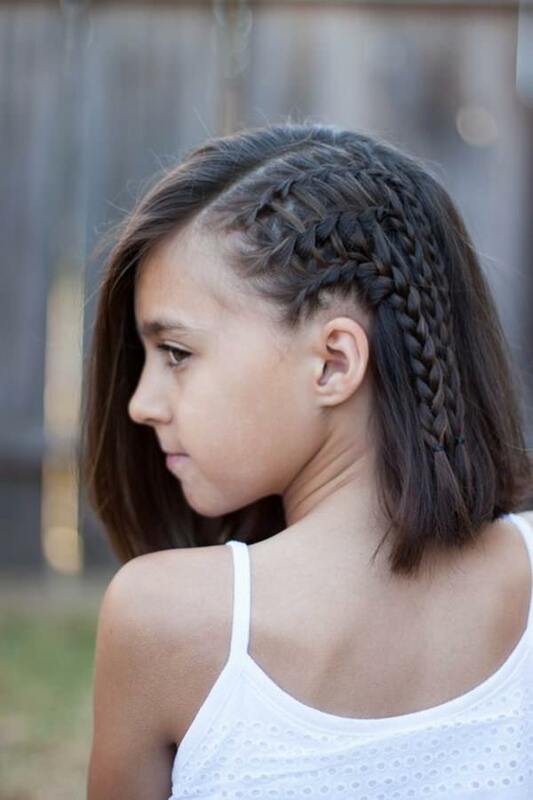 Even people with short hair can have French braids. How fashionable does this little girl look? A cute style that has a U shaped design. 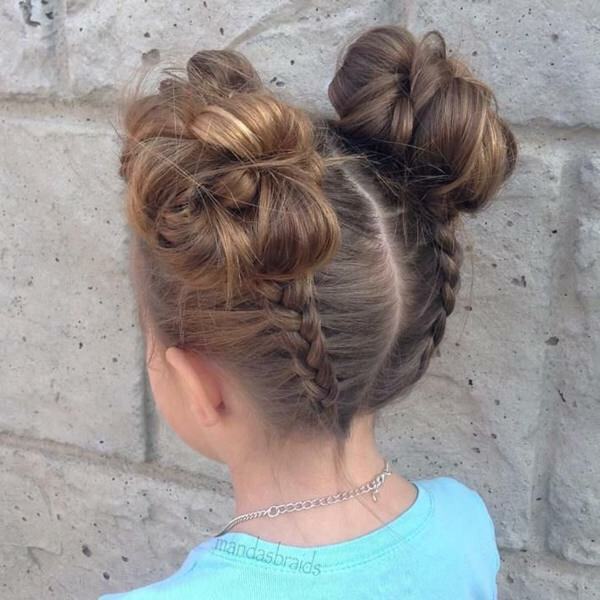 A great style that you are sure to want to try with your kids. 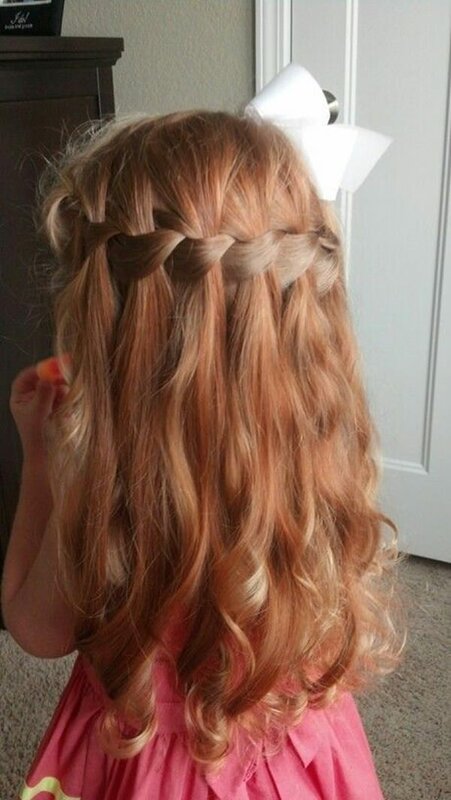 We love how it cascades down the ponytail.